The decline of Venice remains one of the classic episodes in the economic development of modern Europe. Its contrasts are familiar enough: the wealthiest commercial power in fifteenth-century Europe, the strongest western colonial power in the eastern Mediterranean, found its principal fame three centuries later in carnival and the arts. This metamorphosis from commercial hegemony to fashionable pleasure and landed wealth was, however, a complex process. It resulted not so much from the Portuguese voyages of discovery at the beginning of the sixteenth century as from increasing Dutch adn English competition at its end, and from industrial competition chiefly from beyond the Mediterranean. Several of the Articles Dr Pullan has chosen to illustrate these changes are made available in English for the first time, and two have been revised for this book. 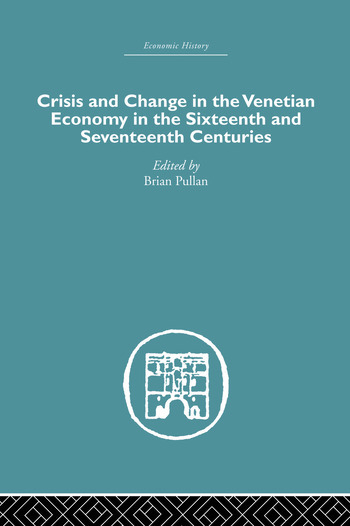 Four deal with the fortunes of entrepot trade and shipbuilding, which had furnished the basis of Venetian wealth adn influence in the Middle Ages; four others expamine the new fields of enterprise which Venice explored in the sixteenth and seventeenth centuries and which helped to compensate for the decline in traditional activities. This classic book was first published in 1968.